The solemn holiday of Yom Kippur (Day of Atonement) which falls between Rosh Hashanah (Jewish New Year) and Sukkot (Feast of Tabernacles), is gaining recognition outside the Jewish community. In 2016, Yom Kippur was recognized as an official holiday by the United Nations. UN employees no longer have to use vacation time and no official UN meetings take place on Yom Kippur. Similarly, Israel-based Christian broadcast journalist Nathalie Blackham told Breaking Israel News that her initial motivation was, “First as an identification with the people of Israel and now it is the most awesome day of the year.” The Blackham family has been living in Israel and working on their show Israel First for nine years. Indiana resident Robin Hardman has been observing Yom Kippur as a Christian for at least five years. She told Breaking Israel News, “As far as benefits, there are many. I am reminded to Whom this day belongs. It is Hashem (God) and not me. “I ask for Him to reveal to me what it is that I need to be made aware of regarding my heart, my relationships. I often end up being very surprised and deeply humbled by what surfaces in my consciousness. And I ask that these ‘revelations’ go beyond just one day reshape who I am from this day forward. “I would and do encourage other Christians to begin to observe Yom Kippur, as well as the other holy days, as a means to deepen their walk with the One True God. I don’t personally think the thought appeals to the casual Christian, but for those seeking a deeper level of worship and understanding, it’s an excellent place to start. I know it was for me,” Hardman reported. This year was UK-based Adrian Fry’s first Yom Kippur. He said he was encouraged to attempt the 25-hour fast by a friend in Israel. South African Colleen Martin observes Yom Kippur with a community of like-minded Christians. “Our community of believers observes Yom Kippur as a high Holy Sabbath, and therefore, no work is done. We have folk in our communities who close their shops in observance of this holy day, as they do on other high holy days throughout the year, and others who take leave from their work. “I find that when I totally disengage from the world, and from the flesh through fasting, there is such a heightened awareness of the reverence and [awe of God]. It’s a precious place to be. Reflecting on whether she would encourage other Christians to take on the practice, Martin told Breaking Israel News, “For me to encourage someone to fast on Yom Kippur, they would first have had to come to an understanding of the biblical feasts as laid out in Leviticus 23. There is a huge awakening among Christians as to the fact that [God] asked Israel to be a light to the nations by keeping His ways and His feasts,” she explained. Colorado-based Catherine Craig has been fasting on Yom Kippur for 15 years. 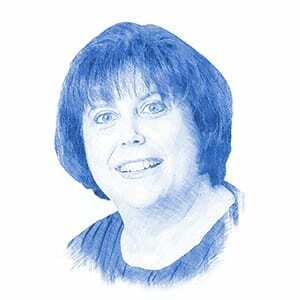 She reported that, “The observance of Yom Kippur always brings me to a place of repentance on a deeper level for the many unintentional sins in my life and those things that are habits needing to be broken. I experience a closeness to our Father in a deeper and more solemn way. Michael Griffis from Atlanta, Georgia just completed his sixth Yom Kippur fast. He explained, “I started out fasting because I want to know God more. Christians should fast. I also fast for Israel. My prayer and fast is for Israel to fulfill Zechariah 8:23. I think fasting is a sign of faith. Texas-based Lori Hinze finds much spiritual benefit in observing Yom Kippur, which she has been doing since 2011. “The Yom Kippur experience draws me into a deeper level of understanding the mercy and compassion of our God while also helping me realize how sin separates us from Him. And how seriously He abhors sin against Him and others. Rural Kentucky resident Tonya Travis wants to, “encourage all Christians to observe Yom Kippur next year, which includes fasting. I believe that Yom Kippur will be a day of judgment in the future so we need to prepare for that day. David Nekrutman, Executive Director, The Center for Jewish-Christian Understanding and Cooperation (CJCUC) commented on the messianic implications of this trend, “The phenomenon of non-Jews adhering to mandates within the Hebrew Bible is extremely encouraging. “More importantly, the motivation behind many is rooted in seeing the Hebrew Bible as relevant in their walk with the God of Abraham, Isaac and Jacob and in solidarity with the Jewish people. We are living in birth-pangs of the Messianic age.